Maxon Australia specialises in custom solutions. Whether it be a specific firmware tailored to suit your application or producing a hardware solution in a controlmax enclosure. We work closely with our customers to meet their specific needs. Recently, one of our customers was approached by a water treatment company with a scenario whereby aggressive acid fumes were adversely affecting the performance of a modem out in the field. Maxon replaced the modem with the Intelimax serial modem. In order to replace the modem, certain enhancements and changes were necessary to make the Intelimax compatible with the data logging equipment being used. Within a month Maxon provided a new firmware specifically compatible with the equipment. Another customer required a solution for their power meters. The current set up was unable to house the modem they were using. Maxon provided a compact IP Rated enclosure that housed the modem and power supply that could be discretely mounted providing access to specific connectivity options. The Maxon Intelimax modem has the unique in-built feature of being able to change between modes and configure settings remotely over a CSD call. This is especially useful if you have a modem in the field that you need to remotely configure using remote AT commands or the Intelimax GUI but are currently using CSD to talk to this modem. Using these commands lets you change to an IP connection for easy access to the device over an IP connection. This feature is available from firmware versions 0.1.67 onwards. It is very important to ensure that you can access your modem once this is done which means either using a static IP address (private IP WAN or similar) or a public dynamic IP address such as telstra.extranet the WAN IP of which can be found via SMS. Dial out to the modem via a command line terminal session to your data modem using the data number of the SIM card in the Intelimax. The sting will be as follows: ATDT0400123456. Once the ‘CONNECT’ message has been displayed you are connected. admin:admin are the default username and password, if you have changed these update this command with the appropriate values in the order username:password. Have you or anyone you know been affected by high data usage charges...? The Maxon Australia support team has recently received a large number of enquiries about high data usage from Telstra. Bill shock is something that no one likes to we would like to provide some reasons for the data usage and also some things you can do. Many customers have been experiencing high data usage on their modems. This usage is as high as 2GB in a 24 hour period. Customers have noticed this usage on their Telstra data logs have seen this usage recorded as chunks of 120MB (or 117MB) data, Telstra’s default data block record size. All customers who have experienced high data usage are on the 'telstra.extranet' APN. This APN provides the 3G routers with a public dynamic IP address. Public IP addresses are useful if you need to access your 3G modem remotely, however these addresses are also susceptible to random hack attempts. This is the most plausible reason why the data rates have recently shot up. How to fix this issue and/or remove the risk of this happening in the future? Changing to a private IP address is the only sure way to remove the risk of random, sustained hack attempts. This means changing to either the ‘telstra.internet’ APN or using a private IP WAN service such as maXwan. All Maxon modems (except for the Datamax) can be configured via SMS, so if you need to change back to 'telstra.extranet' at any stage this can be easily done. Maxon Australia has released a new firmware (Version 0.1.56) for the Intelimax modem. Want to join the Maxon Team? AT over IP allows the user or user equipment to send an AT commands over an IP network to a specific TCP port. Normally a direct connection to the COM Port of the modem is required to send AT command, however this method may not be practical for certain applications. 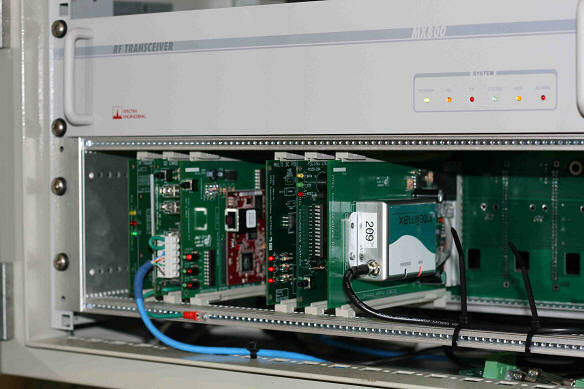 This functionality is very useful for equipment wanting to send SMS messages over the IP network and also in Clear SCADA applications. Join us September 25 11.00am EST for a technical webinar highlighting our new Multimax Dual Port Router and the upgraded Datamax+. MTEL completed a maintenance run throughout the Far Northern Region. Maintenance runs perform checks on the antenna and transmitter systems, and batteries are replaced in systems were the age of the battery is 4 or more years. 20 sites were visited, nearly all were in excellent condition considering the lashing of two cyclones in the last few years.